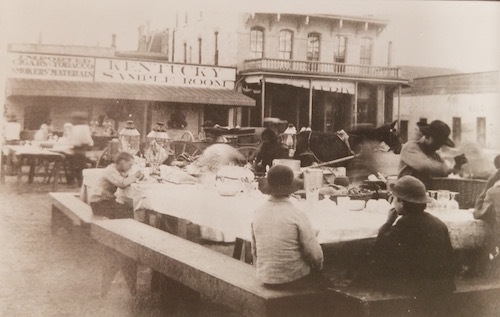 Texas Mexican food gained fame In 1800s when Texas Mexican business women ran outdoor diners, and their delicious cooking made San Antonio a culinary destination, tourists arriving via railroad. 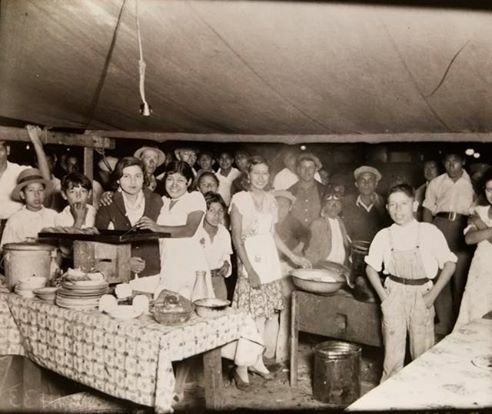 These entrepreneurial women began to be called “chili queens,” a term which, although widely used, many Mexican-­American women and men find offensive. The author will discuss how the “chili queen” label functions as an effective marketing label while at the same time overlooks the professional work of running a business to economically sustain a family. It “others” the women, rendering them an exotic, stereotyped category, effectively erasing them as individual women with names, skills and poetic agency. Most of the newspaper stories of the time never mentioned any of the culinary business women’s actual names. Chalupas with Well-Fried Beans and Picadillo. EVENT SPONSORS: This special evening at the San Antonio Central Library is sponsored by RK Group, Rosemary’s Catering and Chef Johnny Hernandez’ Kitchen Campus, a Culinary Foundation and Resource Center. Chef Medrano is a graduate of the Culinary Institute of America and holds a Master of Arts degree from the University of Texas at Austin.He grew up in San Antonio and Nava, Coahuila, where he learned the intricacies of Texas Mexican style cooking.